WARSAW — A Warsaw man was arrested after his vehicle crashed into a business and residence. 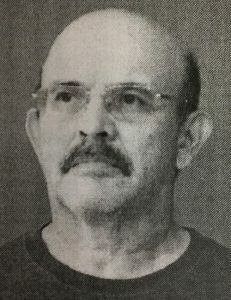 Jesus Ribera, 55, 411 W. Perry St., Warsaw, is being charged with criminal recklessness, a level 6 felony; driving while suspended, a class A misdemeanor; and operating a motor vehicle while having never received a license, a class C misdemeanor. On June 12, an officer with the Warsaw Police Department responded to a report of a vehicle that crashed into the side of a house. The driver of the vehicle was identified as Ribera. He was unconscious at the scene and was transported to Kosciusko Community Hospital. According to the affidavit of probable cause, there was damage to multiple properties from the crash. A road sign was struck and severed. Landscaping at Van Wormer Family Dentistry was damaged. A sign that belonged to the business was also damaged. Ribera’s vehicle also struck a residence, hitting an AC unit and the base of a chimney. The chimney became dislodged from the residence and fell over. The officer spoke with Ribera at the hospital. Ribera said he lost consciousness and believed he had a seizure. Ribera told the officer he has a history with seizures. Ribera was booked in the Kosciusko County Jail on Sept. 1, with a $5,250 surety and cash bond.